The Auxiliary has four Deputy National Commodores (DNACO) who report to the Vice National Commodore. Three are elected, and one is appointed (*). Each DNACO has a specific set of operational areas he or she is responsible for, with one or more of the appointed Assistant National Commodores (staff officers) reporting in. Additionally, each of the three elected DNACOs (O, RBS, and MS) are the reporting point for approximately one third of the 16 District Commodores, grouped by geographical area, who are elected every two years to lead their local membership. We invite you to review the content below and find out more about the Deputy National Commodores. Commodore Linda Merryman, from Pahrump, Nevada, joined the Auxiliary in 1981. She served in numerous positions at all levels, most recently as Deputy National Commodore Information Technology and Planning from 2016 through 2018. She has a degree in Mathematics from the University of Maryland and is retired from the field of Information Technology, where she specialized in project management and strategic coordination. Commodore Gus Formato, from northern New Jersey, joined the Auxiliary in 2005. He has served in a number of appointed as well as elected positions, most recently as District Commodore of the First District, Southern Region from 2017 through 2018. Commodore Formato is on staff at the Essex County College Police Academy and has a career in law enforcement. Commodore Randy Ventress joined the Auxiliary in 2003. He served in a wide variety of elected and appointed offices at all levels, most recently as District Commodore for District Eight, Eastern Region from 2017 through 2018. Commodore Ventress served with the United States Air Force for thirty years on both Active Duty and with the Tennessee Air National Guard. He and his wife Sandy live outside Nashville, Tennessee. 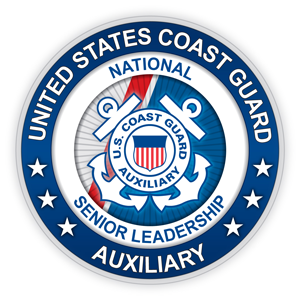 Commodore Wally Smith, from Scotts Valley, California, joined the Auxiliary after taking a Boating Skills & Seamanship course in Santa Cruz in 2007. He served in numerous appointed and elected positions, most recently as District Commodore of District 11 North. Commodore Smith has a degree in psychology from the University of Bridgeport. Commodore Smith was honored as National Auxiliarist of the Year for 2013.